Book a ferry to Gdynia with AFerry. Ferries to Gdynia, in Poland, are available from Sweden. You can take a ferry to Gdynia from Karlskrona. Ferries to and from Gdynia are operated by Stena Line. When you search for a ferry to Gdynia, we will always show a range of times just in case it's cheaper earlier or later than the time you select. 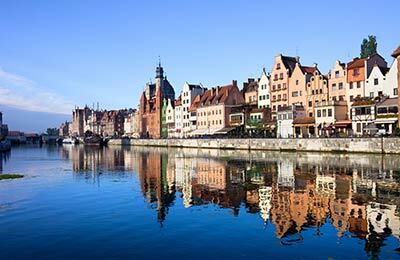 We'll also show you results for similar ports like Gdansk and Swinoujscie to help you find the best times and prices to suit your plans. Gdynia ferries with Stena Line are known for their comfort and high levels of service, and you will feel like your holiday has begun the moment you step on board. Travelling to Gdynia will be easy and hassle free. Start by making your booking today, it's quick and easy. Whether you choose to sail with Stena Line you are certain to have a pleasant and relaxing journey on board your Gdynia ferry. There is short and long-term parking at Gdynia Port. Gdynia is well connected to the rest of Poland by the motorway E28 and the roads numbered 6, 20, 1 and 7. 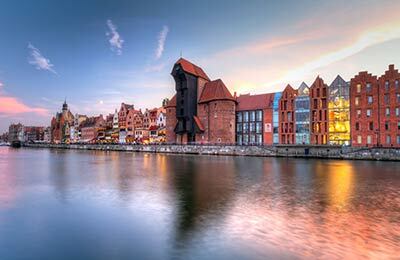 From Gdansk: Gdansk and Gdynia are only about 18 Km apart. Head North-West toward Grzegorza Piramowicza and continue straight on Aleja Grunwaldzka, the same road will change names to Aleja Niepodleglosci and Aleja Zwyciestwa and will lead you straight to the centre of Gdynia. We booked our trip based on "Reserved Recliner Seats." Not finding them we asked and were told, they did not have reccliner seats but we could take any seat. We spent a very uncomfortable night. We would not recommend Finnlines.